Today, most of the Android users take the assistance of an SD card to extend the storage of their device. From our photos to music, they can store all kinds of content. Though, if your SD card has been corrupted or has suffered from an unexpected data loss, then you need a SD card data recovery software. Thankfully, there are plenty of ways to do an SD card fix. In this ultimate guide, we will teach you how to do an SD card repair in different ways. 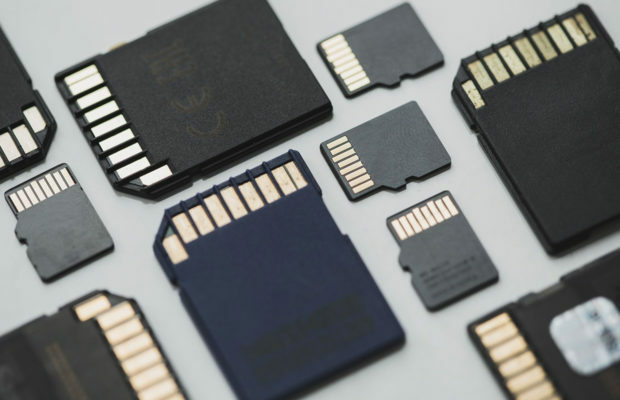 Before we cover various techniques of SD card recovery, it is important to cover the basics and know your SD card in a better way. SD cards can be distinguished on the basis of size and speed. You can easily find standard SD cards, mini SD cards, and micro SD cards. Standard cards weigh around 2 grams and are of dimensions 32x24x2.1 mm. Mini and micro SD cards are mostly used for phones. A mini SD card weighs less than a gram and is of 21.5x20x1.4 mm while a micro SD card is of 15x11x1 mm and weighs less than 0.3 grams. On the basis of its speed, SD cards can be of class 2, 4, 6, and 10. While 2 is the slowest class, 10 is the fastest. There are also ultra-fast SD cards of class 1 and 3. SD cards come in a wide range of capacity, which ranges from as less as a few megabytes to 2 TB (or more). After getting familiar with all the basics related to your SD card, you can easily try an SD card repair. If your data has been deleted from the card or if it has been corrupted, then you can follow these SD card recovery steps. Firstly, unmount the SD card from your device and connect it to any other phone or tablet. You can also connect it to your computer as well. If you are lucky, it will be detected by the device, letting you perform SD card repair. If you don’t have any sensitive or important data on your card, then you can simply format it. After connecting it to your system, right-click it, and choose to format the SD card. Even though your data would be deleted, you can use your SD card afterward. Using the “chkdsk” command, you can run a check disk and fix any evident issue with your SD card. After connecting it to your system, launch Command Prompt and type chkdsk <SD card drive>: /r. This will automatically perform an SD card repair. If the SD card is connected to a device, then you can reinstall it as well to perform SD card recovery. Another method to do an SD card fix involves the change in its drive letter. To do this, you can visit Disk Management on your Windows computer, select the SD card drive, and change the letter. Lastly, you can perform SD card recovery by removing any bad sector from it. Select the drive and go to its Properties > Tools to scan any bad sector. If none of the above-mentioned suggestions would work to do an SD card repair, then you need to take some added measures. By taking the assistance of SD card recovery software, you can retrieve the lost or deleted content from the card. It is a low cost and highly efficient option that provides positive results in most of the cases. You don’t have to go through any unwanted hassle to perform SD card recovery as the process would be automated. Ideally, you can try these three SD card recovery tools. Recoverit data recovery software by Wondershare is a dedicated tool that can perform data recovery on different levels. No matter what caused the loss or deletion of your data, you can easily retrieve it. The tool provides a preview of the recovered content, letting you retrieve it selectively. There are also different modes of recovery like standard, all-around, and deep. Disk Drill is another advanced SD card recovery tool that you can try. It is compatible with all the leading versions of Windows and has a user-friendly interface. It can particularly be used to recover data from a damaged or corrupted SD card as well. Easeus is already used by millions of people the world over. It calls itself a disaster recovery tool and can restore content from a corrupted SD card easily. Now when you know how to do SD card fix and recovery, you can easily retrieve the lost and deleted content from your SD card. Use a readily available SD card recovery tool like Recoverit to get your inaccessible or lost content without any trouble.